In honor of next month's 25th anniversary of their debut album 3 Feet High and Rising, De La Soul are making their entire catalog available for free download for 25 hours on the group's website. The download bonanza will begin on Friday, February 14th at 11 a.m. EST until Saturday at noon. 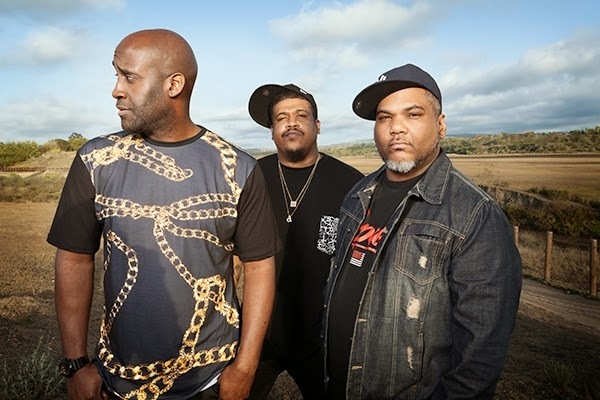 "It's about allowing our fans who have been looking and trying to get a hold of our music to have access to it," De La Soul member Posdnuous tells Rolling Stone. "Its been too long where our fans haven't had access to everything. This is our way of showing them how much we love them." The same things that made 3 Feet High and other De La albums so influential — its creative, if not fully licensed, use of a myriad of samples — has also prevented the group's work from appearing on many digital platforms. "It's been a trying journey," admits Posdnuous. "We've been blessed to be in the Library of Congress, but we can't even have our music on iTunes. We've been working very hard to get that solved." The rapper points to frequent changes at record labels and hazy language in early contracts that have led to long delays in properly clearing the group's catalog. The release of the group's catalog is the first of numerous upcoming projects. In a few weeks, they'll post new songs to their site alongside You're Welcome, their first album since 2004's The Grind Date that they hope to release before summer. Next month will also see the release of Preemium Soul on the Rocks, a six-song EP with three beats each from DJ Premier and Pete Rock. The group is also planning a visit to Detroit to work on an unreleased beat from J Dilla, the prolific producer who passed away in 2006. "Dilla was the Tupac of producers," says Posdnuous. "He has so many unreleased things that no one has heard. His family knows how vital and important an ingredient his music was to our work." Asked about the status of You're Welcome, an album originally scheduled for release last year, Posdnuous says that it's "coming along amazingly," but points to self-criticism in its delay. "We have tons of music, but we're our own worst critics," admits the rapper. "Certain groups have too many 'yes men.' In our group, we have too many 'no men.' When we look back on some of the stuff we have, we're like, 'Yo, we need to just put this out.' The album is still called You're Welcome, but we also have this whole other album that we're working on that…Wooo, I wish I could talk about it." Twenty-five years into their career, the group is ready, if somewhat cautiously, to adopt the more-is-more release schedule of its younger peers. "We're just getting in the mode of constantly giving people new music," says Posdnuous. "I'll be the first to say that not everyone can do it. You can put out a new mixtape every week, but it can dilute what you're putting out because you haven't had enough time to see what's going on with your life to write something from a different angle. With us, we've sat a long time without releasing an album. It's high time we start releasing a bunch of stuff because it's there."